This collection is special. It is made of good memories for me--bonfires and long hikes and muddy boots waiting outside. Fall has always seemed like a bit of a slowing down to me, leaves change and drop gradually, soups cook on low for hours, and even errands seem less urgent somehow. This fall, however, has been a whirlwind. 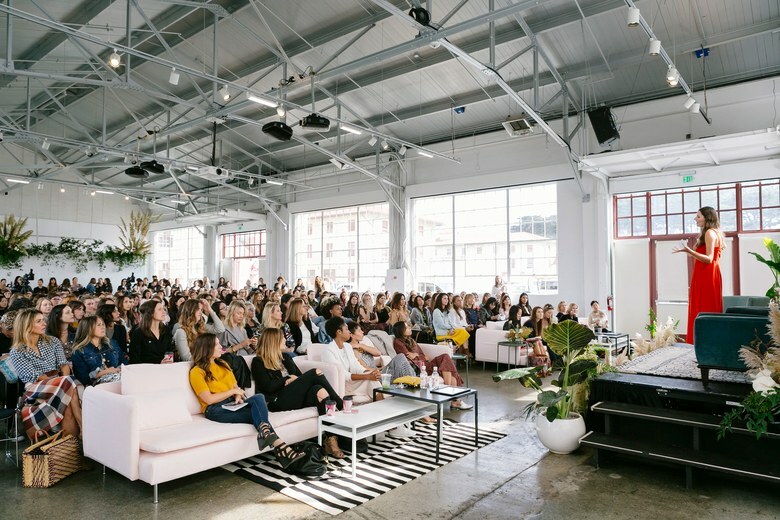 I just got back from a busy trip to San Francisco where Delaney cooed at the Golden Gate Bridge and I attended Mother Mag’s wonderful “In Good Company” conference where I met up with some super inspiring movers, shakers, and mama makers. It was so brilliant that I don’t even have words, but like always, Vogue says it perfectly (extra points if you can spot me giving my best Anna Wintour in the crowd). Instead of coming home to revel in the cozy, lazy season I love so much, I came home to a frenetic January Moon schedule packed with all kinds of excitement (and ultimately, exhaustion). Our Fall 2017 necklaces have made a colorful, successful debut, and they have had me up in the wee hours of the night assembling necklaces and drinking black coffee to keep pace with the demand. This collection is special. It is made of good memories for me--bonfires and long hikes and muddy boots waiting outside. It is also the very first series born on our new, premium cordage. Yep, out with the leather, in with the tether. I hadn’t planned to make a major change with our materials until I discovered a gorgeous specialty rope from an amazing manufacturer that offered the same rich, refined quality of leather, but was even stronger and a less hospitable environment for pesky baby germs. Teething Delaney Bee and I fell in love so hard with the impeccably woven goodness that we decided to switch our entire line over (hence the staying up all night) and use it as the foundation for all of our designs moving forward. It’s so much fun to wear and swings just perfectly when chasing after little people! The Golden Hour Supper + Social is happening THIS WEEK and we have been pouring our hearts into every little detail of this awesome mama meet up. Golden Roots’ Holly, has dreamed up the most beautiful, nourishing menu filled with all of your new fall favorites, and wine genius extraordinaire Robin Riddell of Tavola has selected incredible, inventive pairings to go along with all of the dishes. We have gift bags brimming with our favorite local goodies (including a brand new January Moon surprise!) and a diaper drive on-site to benefit families in need. I cannot WAIT. I am so excited to celebrate the amazing community of mothers in Nashville. There are still a few tickets left and we would so love to save a seat for you at our table! I hope you and your loves are having all kinds of exciting October adventures and enjoying a little relief from the summer heat! Save a pile of leaves for me to jump in. i'll be joining you soon!